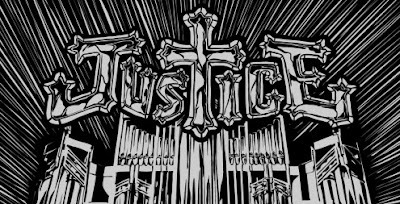 We are all big fans of Ed Banger records and especially Justice. We blogged the excellent video for their new single D.A.N.C.E awhile back and the group have just realsed their first full album. Although we have not heard the album yet we have heard very good things about it and are looking forward to hearing it. In the meantime we will be listening to their mix they have put together for Radio One's Essential mix, which was aired over the weekend. The mix features an insane track list and is worth the download wait. Grab the mix here. BIg up to Red5 for the tip-off.